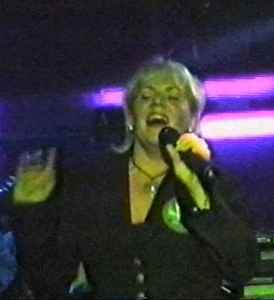 Jenny Bolton has been involved in the music business and performing since a very early age - entering talent contest at "Butlins" Holiday Camps and winning several holidays for the family. Jenny has always loved singing and performing, she won her first competition when she was 5 years old as well as appearing on Opportunity Knocks! At 7 years of age she sang at the London Hilton Cabaret Spot. Moving to London at this time made it possible for Jenny to go to the Italia Conti School and later attend Sylvia Young's Theatre School from 13 years of age.